Atom UMPC first casualty of OQO money woes? 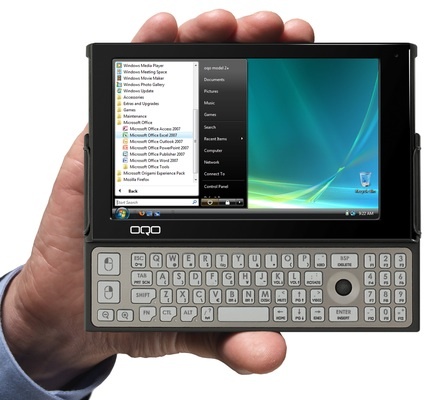 OQO, the California UMPC maker, has canned its latest model, if rumours fed by Twitter tweets are correct. The same source also claims that pre-orders have been cancelled. OQO's OQO 2+: will it ever see the light of day? Shortly after his first OQO missive, Chippy posted a second message claiming that “all OQO 2+ pre-orders will be cancelled”. OQO has yet to make any formal announcements. But, adding fuel to the fire, online retailer Expansys told Register Hardware today that it is no longer selling any OQO models, with the exception of “B-Stock” secondhand machines, although it couldn’t/wouldn’t tell us why. OQO has already acknowledged that money is tight. The firm’s senior sales and marketing veep, Bob Rosin, last week told the Wall Street Journal that the company's “working capital has been very tight”.